How do you make compliance training engaging and interactive when the subject matter is dry and highly regulated? 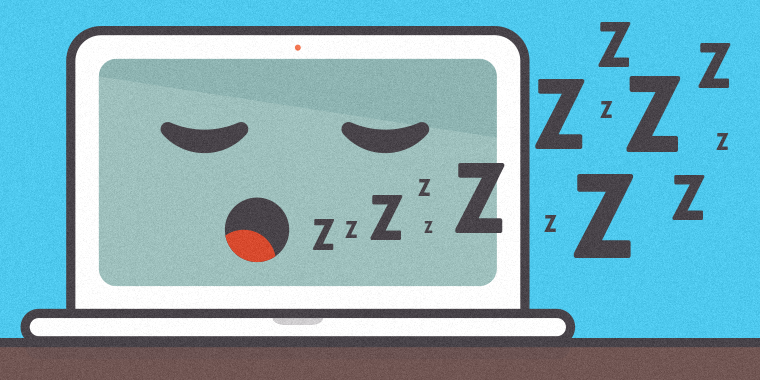 Does compliance training always equal boring? Are there just certain topics that don’t lend themselves to engagement? (Compliance Training, does it always = boring?). Above and beyond the dry nature of the content, compliance training presents a few other challenges which contribute to its bad rap with learners and designers alike. Exists to mitigate risk, rather than change behavior: so, accountability tends to be the primary driver of training. Is based on policies and laws that rarely change: therefore, most audiences see the same information year after year. May be viewed as a necessary evil: as such, it isn’t usually lavished with the budget or resources that other training initiatives receive. All of these factors sound like a recipe for dull training, right? Thankfully our community members had some great, actionable ideas for avoiding the scourge of the boring compliance training. Keep your content laser focused on the highest risk and most misunderstood or mishandled information. You can also build buy-in by putting an assessment at the beginning of the course so learners can see for themselves what areas they need to improve upon. One of the most powerful capabilities of e-learning is the ability to present information in a non-linear way. Using e-learning for compliance training gives you the opportunity to let learners explore the ambiguous areas of compliance decision-making. For example, Community Member Cody Salinas created scenarios with simple branching to give feedback. The learner listens to a conversation (or reads content), and then is asked a related question (sometimes intentionally ambiguous) and their choice triggers a Yes, No, or "grey area" answer. One caution if you’re going the scenario-based route: keep your scenarios as realistic as possible. We’re all grown-ups here, so absurd or extreme situations with obvious solutions can come across as insulting. A great example of using a scenario-based approach for compliance content is Broken Co-Worker by Elearner Engaged. Tight or non-existent budgets make gathering the right visuals for compliance training a little challenging, especially when it comes to depicting realistic scenarios. Julie Stetler recommends using images that depict the workplace setting in the backdrop with content choices in the foreground. One popular way to handle this kind of creative treatment is through the use of faded or blurred backgrounds. Check out these articles from Community Manager Nicole Legault for some pointers: Choosing Backgrounds for Your E-Learning Courses and 3 Quick Background Photo Tips to Spice Up Your Projects. Cary Glenn suggests avoiding people images altogether. Instead, use anthropomorphic shapes or animals to tell a story. Depending on how you spin it, the rectangles mocking the squares could make for a pretty hostile work environment AND a pretty engaging course! What’s your biggest challenge with compliance training, and how did you overcome it? Leave a comment below and tell us about the creative ways you’ve transformed dry or boring content. También puede funcionar incluir algún juego al centro del curso para reafirmar conocimientos y limpiar la memoria a corto plazo del participante. Hola Jessica. En temas serios, por ejemplo en un curso de Lavado de Dinero hice ejercicios de relacionar columnas o que en un escenario con objetos busquen algo sospechoso dando clic en los objetos, una pirámide de preguntas también. Siempre es importante hacer divertida la capacitación, recuerda que en parte es un estigma que la educación de los adultos debe ser seria e incluso aburrida. Saludos. We've started to build our compliance courses with pre-assessments. The learner gets to try a 3-4 question pre-assessment before having to complete the content. If they pass the pre-assessment, they are able to 'skip' the content. We typically break up the content into topics which they access from a menu. This way we can run a pre-assessment for each topic. If the learner is able to pass all of the pre-assessments, they are marked as complete without having to do the content. We provide only 1 chance for each pre-assessment. If the learner doesn't get 100% for it, they are then directed to the content and then a more comprehensive assessment at the end of each topic. The premise we operate on is that the content rarely changes and most learners bring some assumed knowledge to the table with most compliance content. Our audience enjoys the pre-assessment concept and they are grateful for the chance to get through the course each year without having to 'sit through' the same content each time.